The May 3rd event believed to be the target of the gunmen, billed as “The Muhammad Art Exhibit and Cartoon Contest,” was organized by the American Freedom Defense Initiative (AFDI) and featured speaker Geert Wilders, leader of Holland’s anti-immigrant Party for Freedom. The AFDI is listed by the Southern Poverty Law Center as a hate group and AFDI’s founders, Pamela Geller and Robert Spencer, are noted as prominent American anti-Muslim agitators. 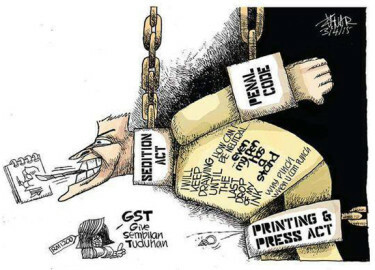 Malaysian political cartoonist Zunar has been charged in Kuala Lumpur with nine counts of sedition for tweets posted following a controversial court ruling. 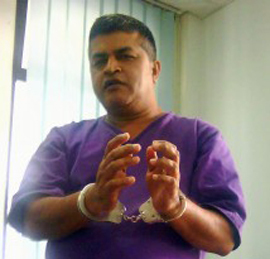 Zunar could be sentenced to 43 years in prison if convicted. Zunar (Zulkifi Anwar Ulhaque) is known for cartoons lampooning the excesses and questionable practices of the government of Prime Minister Najib Razak. Over the years, his cartoon books have been periodically confiscated, bookstores banned from selling his work, and his webmaster ordered to provide a list of those buying his books online.